Leaving their financial woes behind, the Philadelphia Orchestra were in holiday mood as they brought a shamelessly populist programme to the Edinburgh International Festival. Although the regrettable misfortune of Janine Jansen's indisposition meant that the advertised Tchaikovsky Violin Concerto had to be dropped, the choice of the Liszt Piano Concerto proved to be an adroit substitution, even if it is more a populist than popular work. Of all the things that might have been pulled from the hat at such short notice, one might have expected Liszt's concertos to find themselves stuck in the felt lining. The more so since my colleague Liam Cagney found the same circumstance being met in Dublin with the Ravel Concerto in G a couple of days previously. Nevertheless, as a leading figure in the Romantic avant-garde (oxymoronic though the notion sounds), Liszt connects Berlioz to Sibelius, radically developing the former's idée fixe technique, and pioneering the symphonic poem and singular large-scale form that—admittedly in other composers' hands—came to transform the rhetoric of the symphony. Indeed that idea of the symphony orchestra being put to rhetorical ends is an inheritance that Sibelius seizes in Finlandia. The blazing patriotic clarion call found the Philadelphia Orchestra instantly in top gear, crisp in their attack and polished in their ensemble, in a thrilling reading driven from the back by the stirring timpani playing of Don Liuzzi, who came heart-stoppingly close to a Keith Moon moment as one of his perilously perched drums wobbled briefly in the heat of battle. Something one might say of Liszt's second piano concerto is that there is no such sense of danger in attendance. The first concerto, which is more flamboyant and theatrical, at least exposes the soloist to the tightrope, but the composer's limitations as an orchestrator mean that his scoring remains within safe—though not necessarily comfortable—boundaries. The second concerto, though, is a more thoughtful work than the first as it works through and develops the material in its single-movement structure. And it is not as though the soloist has been given the night off: Jean-Yves Thibaudet gave an engaged and eloquent performance, with a charisma that easily made up for the understandably absent final coat of polish. 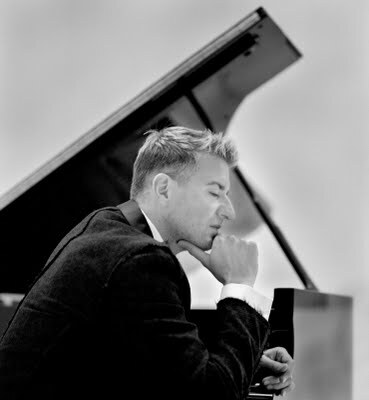 Considering that it was an unexpected addition to the programme, the audience responded with tremendous warmth; in a pointed contrast, as an encore, Mr Thibaudet gave us an enchanting account of one of Chopin's simplest published works, the A minor valse op 34. Again instantly on their mettle, the Philadelphia and Charles Dutoit waded into the opening movement of the Symphonie Fantastique with a warmth born of absolute precision, engendering a rare sense of germination that was almost, though not quite, persuasive. As with many a performance of this work, it was the third movement that really began to seize the imagination and engage the listener—though sadly tonight's performance was marred by another outbreak of coughing contagion. (The oboe solo in the Mahler the other night, the cor anglais solo here; is there something about the double reed that makes people want to cough?) Fortunately, the spectacle both aural and visual in the concluding two movements easily dispelled such distractions. I must close with a note of reproach to maestro Dutoit, though: how come, after contributing so much, did the percussion section not get its own call-out during the curtain calls? As encores, we were given Sibelius' Valse Triste, and Glinka's sparkling Ruslan & Ludmilla overture. That's the third year in a row Valse Triste has shown up: is it becoming the EIF's answer to Rule Britannia?